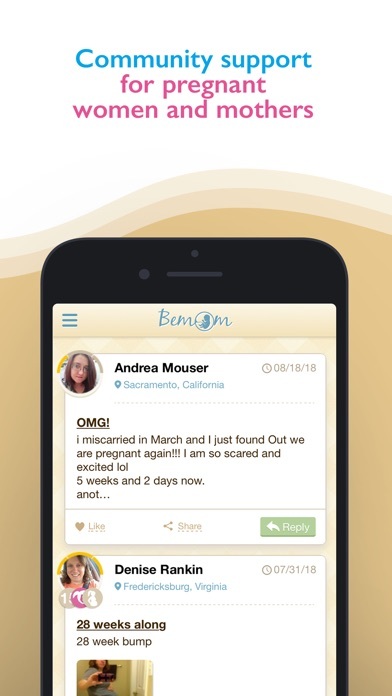 The Bemom pregnancy calendar will allow you to track the course of your pregnancy and the development of your baby week by week through your entire pregnancy, from conception to childbirth. Join us! You can use our pregnancy calendar to always stay on top of your pregnancy, what is happening to your body, how your baby is developing, and what you should not forget as you reach your delivery date. Here you will find answers to the questions that you may have during pregnancy. 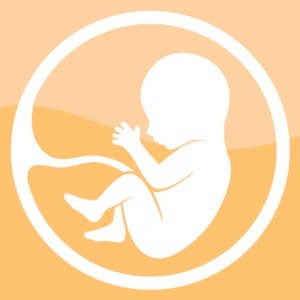 Our app has everything necessary for the peace of mind of expectant mothers: - Daily updates about your pregnancy - The course of your pregnancy from conception to childbirth - Life hacks and advice for every week of your pregnancy - Detailed information about the term of your pregnancy for each week - Information on changes in your body - Useful week-by-week information about your baby's development and the course of your pregnancy - Color illustrations of the baby for each week of pregnancy - Calculation of the expected delivery date based on the last menstrual period - What you need to pay attention to this week - Checklists for each week, and what you need to do and what not to forget every week - Graphs for tracking weight gain and abdominal growth (coming soon) - Contraction counter and timer (coming soon) - Fetal kick and movement counter (coming soon) - A list of things that you need to take to the hospital and that you will need after delivery (coming soon) In the next update we will add the ability to search for a doula. A doula is a woman who provides continuous physical, emotional, and informational support to mothers before, during, and after childbirth. 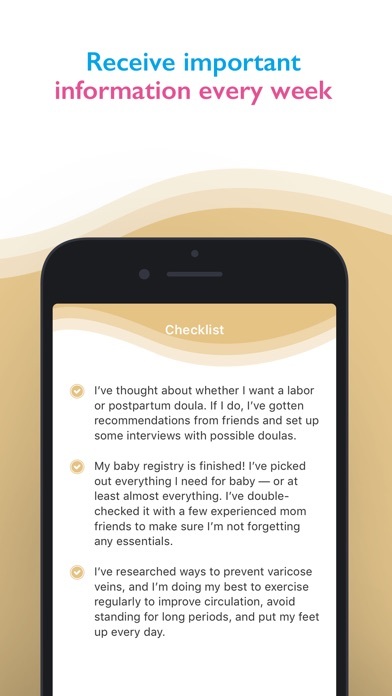 You will be able to find certified doulas, chat with them, receive real-time advice and support, and invite a doula to accompany you during childbirth. To use the pregnancy calendar and calculate the estimated date of delivery, enter the date of your last menstruation, and you will immediately be able to see information about your expected pregnancy term. We worked hard to create our app. This is only the first version. 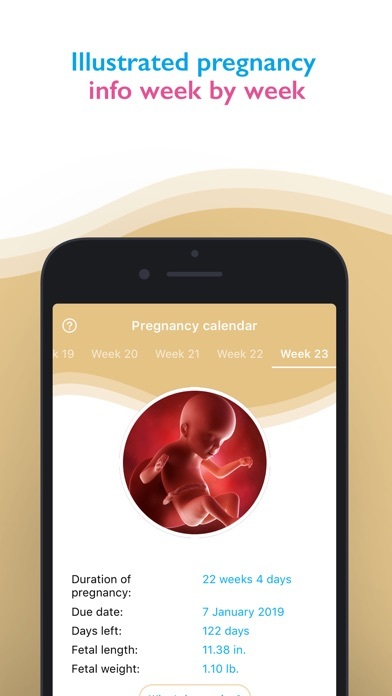 We are working on updates that will provide all of the necessary functions to track the course of your pregnancy week by week, from conception to childbirth. If you have any comments or suggestions, write to [email protected] We respond to every message that we receive, and we take into consideration all feedback to improve our pregnancy calendar.